Whether you celebrate Easter for religious reasons or are just in it for the free candy, it's definitely clear that Peeps are the modern telltale sign that the holiday is here. A better way to say that, to be honest, is that you know Easter is around the corner when everyone starts putting Peeps into everything. This Peeps Cereal is definite proof of the iconic association the holiday and the treat now have. Created by Kellogg's, this limited edition cereal is like a mixture of Froot Loops and Lucky Charms. It consists of multi-colored, marshmallow flavored cereal alongside plenty of actual mini marshmallows. While there are no actual cereal pieces shaped like Peeps, the flavor and neon-colored cereal are meant to mimic the taste of the fluffy marshmallow chicks. 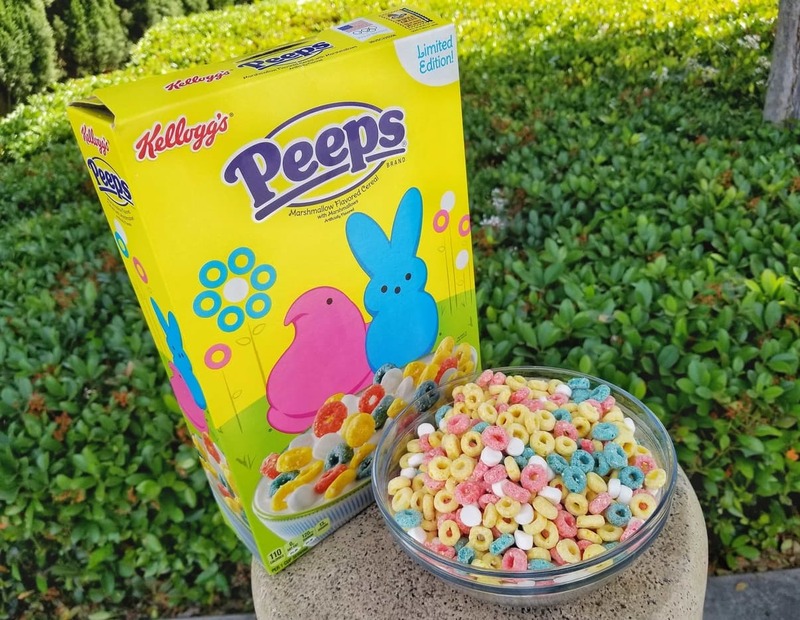 Kellogg's created this Peeps Cereal as a limited-edition product, so it should hang around in stores like Walmart and Target nationwide for a little bit past Easter before it disappears from the shelves.